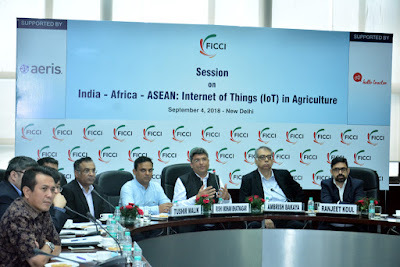 Aeris, a technology leader in the Internet of Things (IoT), announced today its partnership with Hello Tractor in Africa to launch “Tractors-as-a-Service” in India and the ASEAN region in the session “India - Africa – ASEAN: Internet of Things (IoT) in Agriculture” organized in association with The Federation of Indian Chambers of Commerce and Industry (FICCI) in New Delhi. Industry leaders and diplomats from Indian, ASEAN and African embassies in New Delhi were part of this event. With the Aeris IoT platform, called Aeris Mobility Platform, (also known as AMP), tractor tracking, utilization time and billing is simplified, based on time in the field and area covered. Our partnership enables the pay-as-you-use model for small holding farmers to use tractors with innovative commercial models. Hello Tractor's innovative use of IoT simplifies complex data to ensure transparency, profitability, and accountability across the ecosystem of farmers, tractor owners, tractor dealers, original equipment manufacturers, banks, and governments. The Tractor Owner App includes tools such as, service request management, tractor and fleet management, operator performance, and activity tracking. Using the technology to their advantage, the farmers are able to plant 40 times faster at one-third the cost. The digital IoT platform is making it easy and profitable for tractor owners to monetize their machines as business assets whilst improving the livelihood of rural farmers. 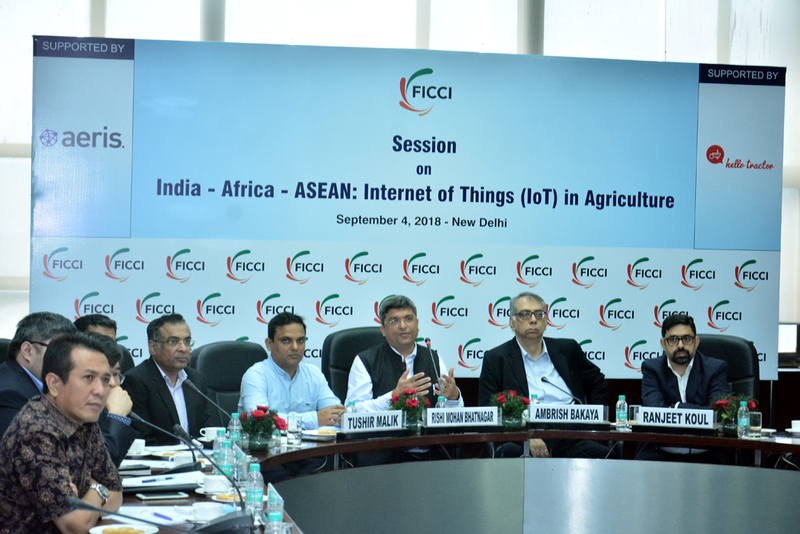 The session was presided over by Ambrish Bakaya, Co-Chair of FICCI ICT and Digital Economy Initiative. Tractors form an integral part of farm mechanization and have a crucial role to play in increasing agricultural productivity. In ASEAN, per capita arable land area is 0.12 hectare, among the smallest in the world. Across the regions, the small landholdings make it unviable for farmers to own agri-machinery and implements like tractors, rotary and power tillers, rotators, seed drillers and other efficient farm equipment. In India less than 30 percent of farmers use the necessary equipment that facilitates productive and profitable work. Farmers can barely afford high-cap equipment and often take loans to buy them. This often adds onto the financial burden in a bad crop yield season. Also, small farmers often lack knowledge about modern farming practices or struggle to finance farm operations. India, Africa and ASEAN has its roots in agrarian societies and agriculture occupies a special role in the socioeconomic development. It is an important driver for social, inclusive growth; an essential source of export earnings; a guarantor of food availability to its citizens; and a source of employment directly and through agriculture-related, value adding activities. Leveraging the partnership with Hello Tractor in the African region, Aeris India brings on-demand farming capabilities to the predominantly agrarian economies of India and ASEAN.